Nothing trains a DJ more than a long lasting residency. 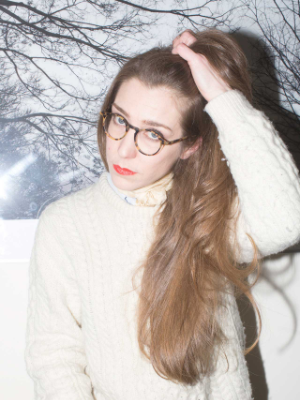 A truism that Cologne based musician and DJ Lena Willikens always proves when spinning her vinyl. For more then five years, she has been in charge of long and sweaty Friday night parties at Düsseldorf’s free-spirited club/bar Salon Des Amateurs. She is also a dedicated member of the Cómeme records tribe and all its missions: her name is frequently on the label’s party bills and she runs the globally famed monthly radio show “Sentimental Flashback” for Radio Cómeme, elected best podcast/mix by UK-based Juno records in 2014. As a DJ, radio broadcaster and producer, Lena never limits herself to a single style: all is welcome as long as it is twisted into a one-of-a-kind.